DUBAI: Sheikh Mohammed bin Rashid Al Maktoum, Vice-President and Prime Minister of UAE and Ruler of Dubai, has hailed the Uber-Careem deal as testimony to the farsightedness of Dubai's policy on information technology. The giant companies like Careem and Souq.com, which have been acquired by Western companies now, flourished from the "desert" of Dubai due to the establishment of Dubai Internet City, he said in a Tweet on Tuesday. In the wake of global ride-hailing company Uber acquiring UAE-based Careem, the Sheikh tweeted: "In 1999, many people questioned our idea to establish Dubai Internet City in the desert. Two years ago, Amazon acquired the multi-billion dirham http://Souq.com and today, Uber acquired Careem for Dh11 billion. These giant companies flourished from the "desert" of Dubai." On Tuesday Uber and Careem clinched the deal to acquire Careem for $3.1 billion, $1.7 billion in convertible notes and $1.4 billion in cash. Uber will acquire all of Careem's mobility, delivery, and payments businesses across the greater Middle East region, ranging from Morocco to Pakistan, with major markets including Egypt, Jordan, Pakistan, Saudi Arabia, and the United Arab Emirates, reported Khaleej Times. Careem will become a wholly-owned subsidiary of Uber. The brand will be intact. Careem co-founder and CEO Mudassir Sheikha will continue in the capacity. 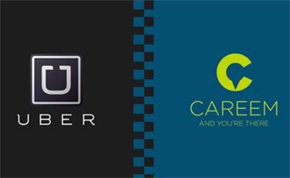 The board of governors will have three representatives from Uber and two from Careem. The two companies will continue to operate separately.